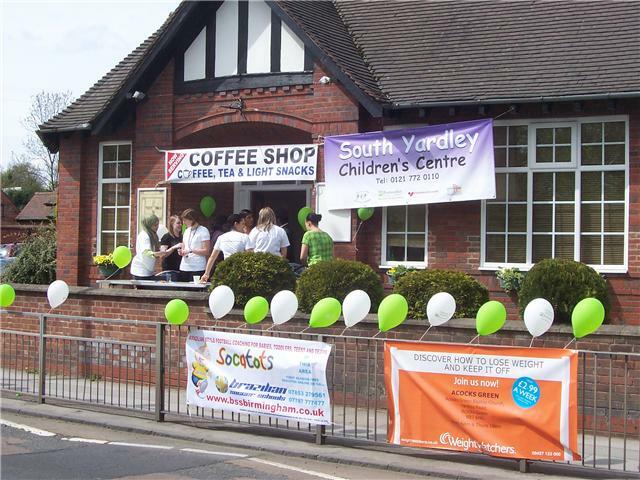 In March South Yardley Children’s Centre held a Funday at the Church Hall on Yardley Road to launch new support services in our area. The centre is making use of the hall on Tuesday and Thursday afternoons. On Tuesday there is a Healthy Living Group and on Thursday there is a Bumps to Babies Group. This entry was posted in Events and tagged Acocks Green, Children's Centre, Church Hall, Healty Living Group.Bumps to Babies, South Yardley Library, Yardley Rd, Young Parents. Bookmark the permalink.